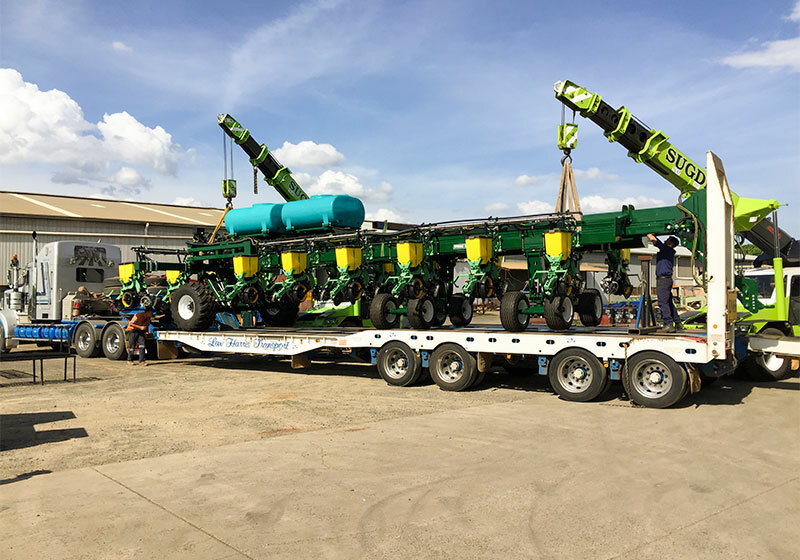 Excel Agriculture continues to demonstrate Planter Frame design innovatation with the first unit of the 24 meter (80 feet) Forward Fold, 5-section version of the renown “Stubble Warrior”. While common wider frames fold-up vertically, and also into a box frame, having both wide and high transport dimensions, this new Excel frame design employs a forward folding configuration. So, rather than presenting a problem when road transport is required, Excel’s “Fold forward” design has a reduced transport width as the outside wing sections ‘walk around’ to the drawbar (front) of the planning frame. Also, importantly, the frame’s centre of gravity is kept low. 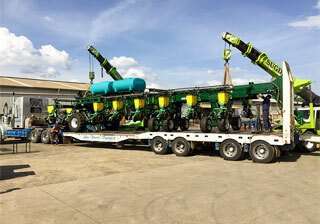 After Excel had successfully manufactured a number of 18m (60 foot), 3-section machines fitted with summer plant combinations, this is the first 24 meter (80 foot) 5-section planting frame manufactured. 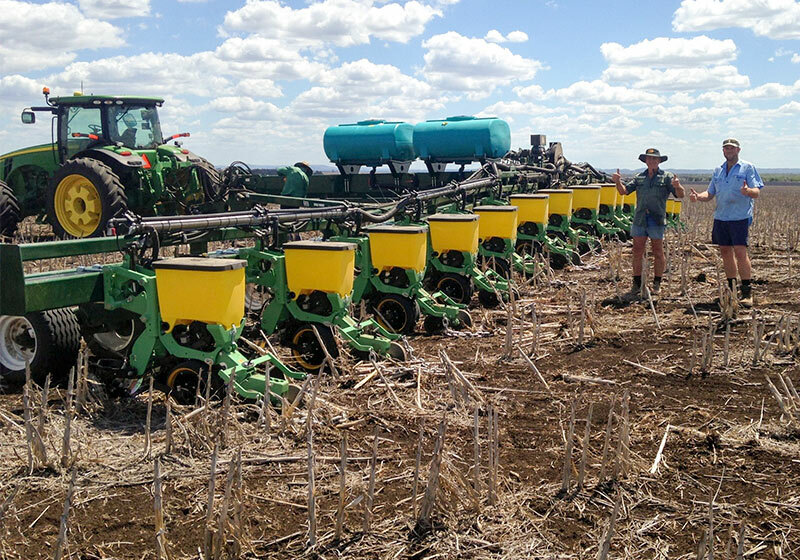 This Excel “Stubble Warrior” has been purchased by an existing Central Qld customer to add to his fleet of Excel machines. 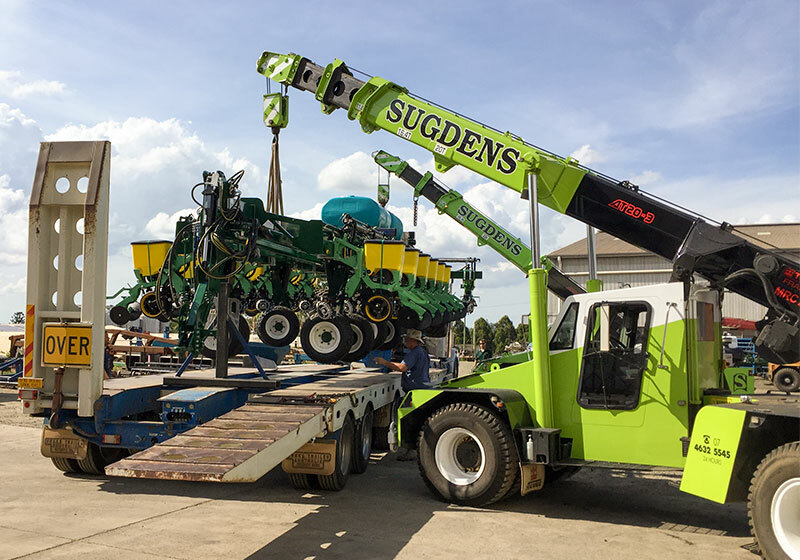 SP200 Stubble Warrior double disc opener which have been upgraded to include liquid and granular fertilizer delivery tubes. Has a liquid fertilizer application capacity of 2400 litres. Meeting the customer’s needs has has been the focuse of all aspects of this impressive planting frame design.